Following on from two sensational Inglis Classic Drafts in 2017 and 2018 where Holbrook Thoroughbred yearlings breached the six-future mark on multiple occasions, the Scone-based nursery is heading into this year's Classic instalment with not only a much larger draft in terms of numbers, but also one that raises the bar even further on quality. An obvious place to start in terms of commercial sire strength is Lot 486 and the colt by dual Champion Australian Sire Snitzel from Malibu Moon mare Malibu Fever. This is a seriously strong international pedigree with 2nd dam Victory party being a half-sister to three individual Gr1 winners in Beholder (Breeders' Cup Juvenile Fillies), Mendelssohn (Breeders' Cup Juvenile Turf) and Into Mischief (Hollywood Futurity). Lot 284 is also likely to have serious interest. He's the Wandjina colt from winning Canny Lad mare Elldarragh. Suggestive of serious precocity, the dam is a half-sister to stakes-placed Gold Anthem, dam of 4x Gr1 winner and sire Starspangledbanner. 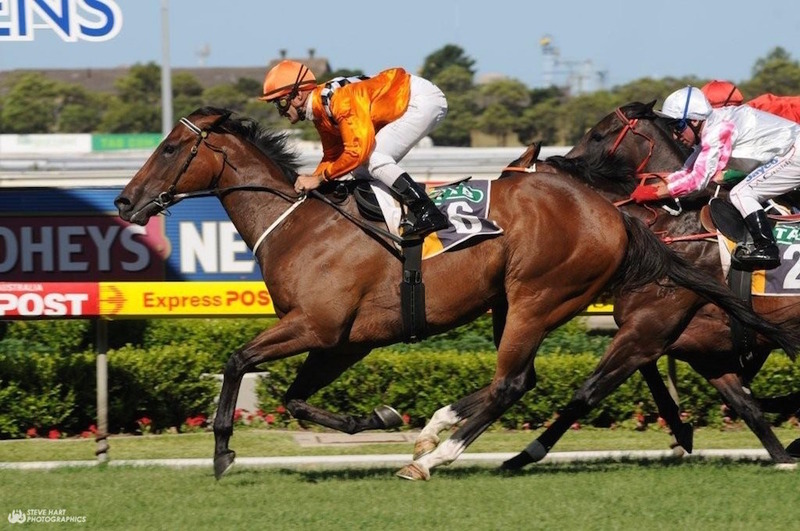 A family with black-type depth, it also includes Gr1 Thousand Guineas winner Amicus. Alizee's sire Sepoy is represented by two as well. Lot 147 is from Listed-winning, dual-Gr2 runner-up Bella Corona, dam of 5 winners from 5 runners and including triple stakes-winner Bewhatyouwannabe. Meanwhile Lot 830 is from Bengal Angel, a half-sister to Gr2 Karrakatta Plate runner-up Trichologist. This page also includes luminaries like super sire Blackfriars, Gr1 Australian Oaks winner Larrocha and Gr2 Tulloch Stakes winner Manton. First crop yearling sires are also well represented. Lot 79 (Holbrook's opener) is by dual Gr1 winner Kermadec from winning mare Donna Madeira. An outstanding colt in the Gold Riband session, he is from the very speedy and very commercial family of Procrastinate, South Africa's Champion Laisserfaire and Gr2 winner Centennial Park. There's also a trio by another first cropper in Headwater, Vinery Stud’s Silver Slipper-winning son of Exceed and Excel. Lot 317 is from Final Star, dam of 3 individual winners and a half-sister to stakes-placed Palace Glow. Lot 629 is the first foal from Shamardal mare Quick's The Word (interestingly, from Headwater's family), and Lot 968 is from Octagonal mare Real Pleasure, twice a winning producer and half-sister to Listed WA gelding Noble Cavalier. Press Statement and Real Impact are also first crop yearling sires with representation respectively. Lot 570 is from Onecatstoomany from the family of Gr1 Mackinnon Stakes winner Champagne, while Lot 975 is from Scatcat, from a half-sister to Listed NZ winer Guess What. One young sire making commercial waves at the minute is Rubick, sire most notable of Yes Yes Yes, Blue Diamond contender Biscay and high class Krameric. His chestnut filly (Lot 432) is from Fastnet Rock mare La Femme Fatale, a three-quarter-sister to Hong Kong Listed winner Sichuan Success and half-sister to Gr3 Millie Fox-placed Pirouettes. Two more lots with commercial punch ... Lot 167, by Nicconi from Street Sense mare Broadway And Fifth. This is a pedigree with currency and upside with the dam's first foal a 2YO and 2nd dam being Gr1 Melbourne Cup winning Zabeel mare Jezebel. Lot 285, by Spirit of Boom from Elusive City mare Elusive Gift, this is the famous Canny Lad family with 2nd dam being a three-quarter-sister to Camarena. Other high quality lots include Lot 920, by Adelaide from Melbourne stakes-winner Magsaya; Lot 837 by Artie Schiller from By Golly Molly (family of Gr2 WA winner Silverstream and Gr3 Sydney winner Speedy Natalie); Lot 390 by Epaulette from Ad Valorem mare (same as Listed Blue Diamond Preview winner I Am Immortal), Inflict from the family of sire Reward For Effort; Lot 881, the colt by Olympic Glory from Fu Peg mare Halimeda (half-sister to stakes-placed Manila Lila) and Lot 952, by Delago Deluxe from Orpen mare Orphrey and the family of stakes winner Flawed Logic.